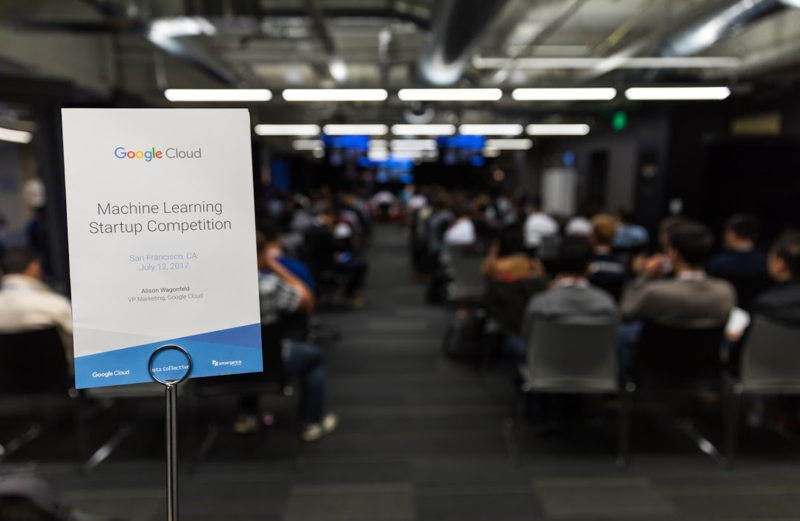 On Wednesday, July 12, Google Cloud hosted the finals of its Machine Learning Startup Competition in San Francisco. 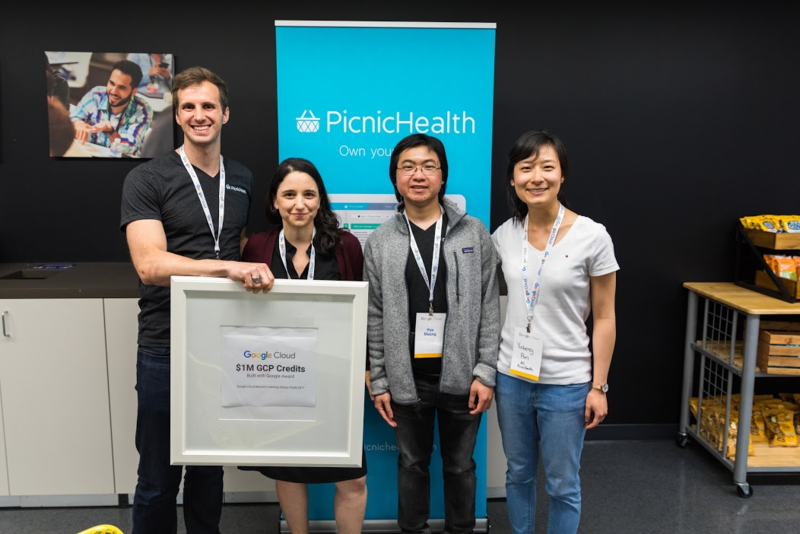 Launched at Google Cloud Next ’17 with our sponsors Data Collective and Emergence Capital, the competition aimed to bring together the best early-stage startups implementing machine learning. According to Fei-Fei Li, Google Cloud Chief Scientist of AI/ML, “AI will change the way we live and work and it’s happening at a faster pace than most people think.” We received more than 350 applications from startups across the U.S. that are leveraging machine learning to improve healthcare, financial services, retail, IoT and many other sectors. At the event, finalists took the stage to share their technology and vision with our expert judges. Finalists had just three minutes to pitch and three minutes of Q&A to convince the judges. They also spoke to an audience of investors representing over 40 of Silicon Valley’s top venture firms. PicnicHealth creates training data for precision medicine. By engaging patients directly they provide life sciences studies with complete, structured outcomes data for any patient, from any source. To date, PicnicHealth has collected and structured 500,000 records from 5,000 different health care facilities. Their current customers include 23andMe, the National Institute of Health, Stanford, Sanofi Genzyme, and Biogen. Already leveraging Google Container Engine (GKE) and BigQuery, they plan to use the $1M in GCP credit to scale their machine learning efforts on Cloud Machine Learning Engine, Cloud Vision API, and Genomics API. LiftIgniter is a machine learning personalization layer powering user interactions on every digital touchpoint. Built by the team behind YouTube’s recommendation algorithm, LiftIgniter runs their full stack on GCP. LiftIgniter’s customers include Vevo, Fandom, and Tableau. 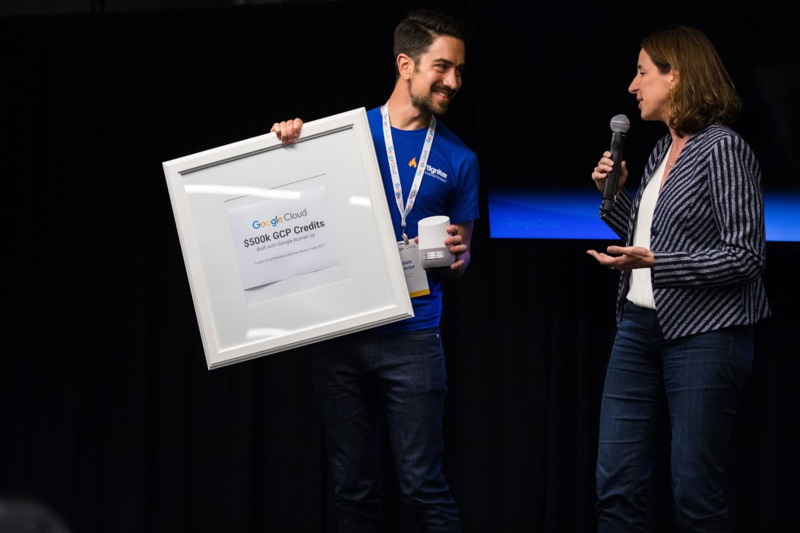 All remaining finalists will receive $200K in GCP credits and technical assistance from Google Cloud to support the next stages of their companies. We want to thank our sponsoring venture capital sponsors, DCVC and Emergence Capital, and our supporting sponsors A16Z, Greylock, KPCB, GV, NEA, Sequoia. A special thanks to all the startups who traveled many miles and spent countless hours preparing to participate in the competition. The competition is just one of the many ways Google is focusing on machine learning and startups. Gradient Ventures recently launched to fund early-stage startups focused on artificial intelligence. For more information on the Google Cloud Startup Program, check out our website.